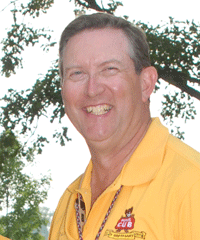 Part of the Judging process at an EAA AirVenture involves the use by the judges of a Presentation Book, put together by the owner of the airplane being judged. Why do they need a book filled with pictures, since the complete airplane sits before them in all its glory? The answers are both obvious and not so clear, and in this article I’ll try and clear up any misconceptions about the presentation book, as well as give you pointers on how to put together a book that will make it easy for the judges to give you full points for something you’ve worked long and hard on. Seems pretty simple at first glance, and it really is. The Presentation Book’s purpose is to document the restoration process, or if you have a very rare airplane it can trace the history of a continuously maintained airframe throughout its lifetime. It is also part of the airplane project that would best be kept in mind during the entire restoration process – it is a lot easier to do as you work on the project, rather than putting it all together the night before a fly-in. The restoration process can be classified as a series of segments. They don’t always follow the same sequence, so you may have to adjust your book layout to suit your particular application. First, a general history of the aircraft type may be in order, especially if the airplane is a rare type. It may not be necessary to document the history of a Piper Cub or a Champ in its entirety, but an Anderson-Greenwood AG-14 could stand a deeper historical treatment in the Presentation Book, simply because it is not likely the judges have seen too many of them in their lifetime. The historical portion of the Book should include photos, especially factory photos of the airplanes original configuration, factory brochures and any other documentation you’d like to include that can be used by the judges to document details you’ve painstakingly included in your restoration. A word about factory brochures maybe in order at this point. If you are fortunate enough to locate an original factory brochure, you may wish to consider having a color photocopy made and included in your book, instead of the original. Color copiers today are capable of outstanding reproduction, and have really advanced during the past few years. Check with one of your local quick printing shops to see if they provide this type of service. With the relative scarcity of original brochures, you may wish to keep them safely at home, away from the possibility of damage or loss. Mount it between two pieces of ultraviolet resistant glass, frame it, and put the brochure on display in your den or family room! Often, one of the best ways to show the original colors is to find a scrap of fabric or metal still painted with the original paint. Unless this airplane has never been restored, original paint would be hidden in an area not painted in the past, or possibly painted over with a different type of paint. Since it would have been kept from the elements, they often are a good indication of the true colors used when the airplane, was first built. Of course, you don’t want to be fooled by documenting the colors of a previous restoration, so you need to know for certain if a plane had been restored in the past. On my Aeronca Super Chief, for instance, the airplane had been recovered in the past, but there were still traces of the original paint under the first layer of paint on some of the sheet metal. I used a weaker paint stripper to pull off only the first layer, and then was able to peel off a few larger chips of the original paint to match the yellow used on my airplane. Those chips will be included in the Presentation Book when I finally finish the restoration. Color scheme documentation should also be included in your historical section, especially if your airplane was delivered with a custom paint scheme. In the immediate post – WWII era, not too many airplanes were delivered with custom paint jobs, but before the war, a large number of airplanes were delivered with paint color choices selected by the owner. If you want to receive full points for your work, the scheme must be documented in some way – photos, factory drawings and factory invoices call all be used to help pin the colors down. The next section of the history should include the specific past of your particular airplane. The first bill of sale, a list of equipment, and any other factory documentation can all help pinpoint the exact configuration of the airplane when it was delivered. As mentioned before, photos are invaluable documentation. You may wish to caption each picture to highlight any subtle details you want the judges to notice. Logbook entry copies may also be appropriate, especially if any factory authorized work or modifications were done. The next section of the Presentation Book covers the actual restoration of the airframe and engine. You don’t want to overwhelm the judges with this section, but you need to be sure and show all of the aspects of your restoration with a few well chosen photos. Here are a couple of hints. First, if your talents lie in restoring but not in photography, consider using one of the automatic “point and shoot” 35mm cameras. A camera that uses 35mm film will give you a larger film surface to record your image, instead of the Disc or 110 format. The smaller negatives of these films may be fine for snapshots, but not when you are trying to show as much detail as you can. Most of the newer automatic 35mm cameras allow the flash to be used in most lighting conditions. This is important, since often I see photos that could have been acceptable if only the background light had not dominated the shot, and underexposed the subject of the photo in the foreground. If possible, try to use a flash. Avoid a bright background and a dark foreground – shooting a fuselage frame in the garage while looking towards the open garage door, for example, is sure to produce disappointing results. If your subject is in bright sunlight with a hard shadow, go ahead and use the flash to fill in the details in the shadows. Even though you can see the details fine when you look at the subject, the film can’t compensate for the differences in lighting. Think of the last time you took a picture of someone with a baseball cap on – remember how his face disappeared in the shadow of the bill of the cap? While you’re disassembling the airframe, invariably you’ll want to shoot a picture of a small detail or fitting for future reference, so you may wish to keep that in mind when selecting the camera to be used. A camera should be considered part of your tool box, as much as a set of socket wrenches or screwdrivers. If you’d rather not take the photos yourself, perhaps you have a photographer friend who is willing to shoot your project as the work progresses. Often, simply covering the cost of the film and processing, along with a ride or two in the restored airplane is all the photographer would want in return. When you sit down to choose the pictures to be included in the Presentation Book, keep in mind what you are trying to show the judges. Is it a sharp photo? If not, don’t include it – a fuzzy picture is worse than no photo at all. Does it show the part to be shown, without a lot of background clutter or other parts that tend to hide the component? Since the details on the normally visible parts of the airplane can be seen by the judges, it’s not necessary to extensively document those parts after installation, but you do want to be sure and show pictures of the areas of the airplane that cannot easily be seen by the judges. The aft fuselage, for instance, or the control stick area below the floorboards are two examples. Remember that the judges give points for workmanship as well, and showing off the work done in hidden areas can aid your final score. This is one place where out of sight is not out of mind. Included in your documentation of the restoration can be copies of any factory drawings or blueprints you need to document the configuration of a part or installation. Reduced size photocopies can be great help in this regard. How should all of this material be arranged? As stated in the rule book ,judging is not to be influenced by “the beauty or artistic quality of the book itself.” That doesn’t mean the book can be haphazardly concocted. If the book is composed of hard-to-read hand scribbled notes and too many fuzzy, hard to decipher photos, it’s not likely the judges will be able to find all of the details you may have put in the airplane during restoration. Remember, if your hidden work is not documented, the judges cannot award you full points for workmanship. Neatly typed or hand printed captions and short, concise paragraphs detailing the process will go a long way in helping the judges see everything you want them to look at. With the proliferation of personal computers, often the written portion of the book can be printed after being written on the computer. Try to avoid the use of a draft or light dot matrix type when printing – it can be tough to read. 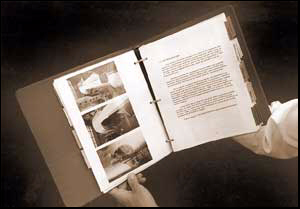 The photos can be contained in a photo album page, the most popular of which seems to be the so-called “magnetic” pages that use a small series of mounting wax stripes to hold the photos and a clear plastic over-lay onto the page. A neat three ring binder to hold it all together can help make the judges job a bit easier, something they all will appreciate.